Dr. Ronnie Hancock cares about helping his patients maintain good oral health and beautiful smiles. He uses a wide range of cosmetic and restorative dentistry procedures to keep your smile healthy and great looking. Dr. Hancock and our office staff would like to help you to make the best use of your dental insurance plan benefits as the end of the calender year approaches. Many patients have insurance benefits that expire on January 1st. 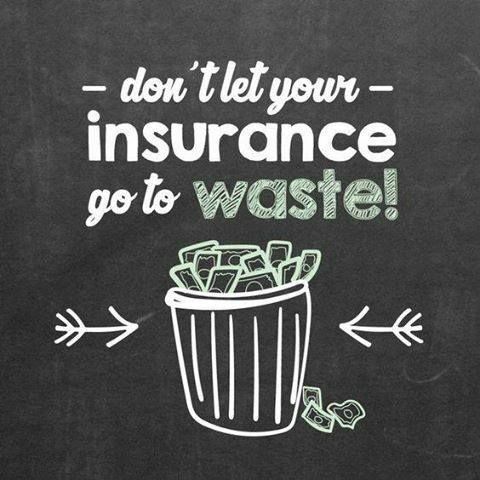 Call our office today, 9365647240, and let Hailey or Bethany help you with your dental insurance. They can quickly get a summary of your insurance benefits, let you know what your yearly benefit maximum is, and tell you how much you have remaining. Dental Insurance is not like medical insurance. Most plans will pay 100% for preventive visits, so if you have not had one yet, this may be a good time to schedule one. If your plan requires a deductible, they are typically around $50 and are collected at your first dental visit of the insurance plan year. Remember, if you have a Flexible Spending Account (FSA) or Health Savings Account (HSA), you can use these funds for pay for deductibles or any amount that your insurance plan does not cover. At Dr. Hancock’s office, we believe in explaining your dental insurance plan benefits and giving you a detailed treatment plan at your exam so that you can plan ahead. We believe in honest and open financial discussions with our patients. You can count of being treated fairly in our office. Schedule your regular cleaning, X-rays and exams to keep your smile healthy. If you are having any sensitivity, let Dr. Hancock take a look at it quickly. We want to help you avoid unnecessary treatment costs or uncomfortable weekends with a toothache!